In the garden with Holly Bellebuono. 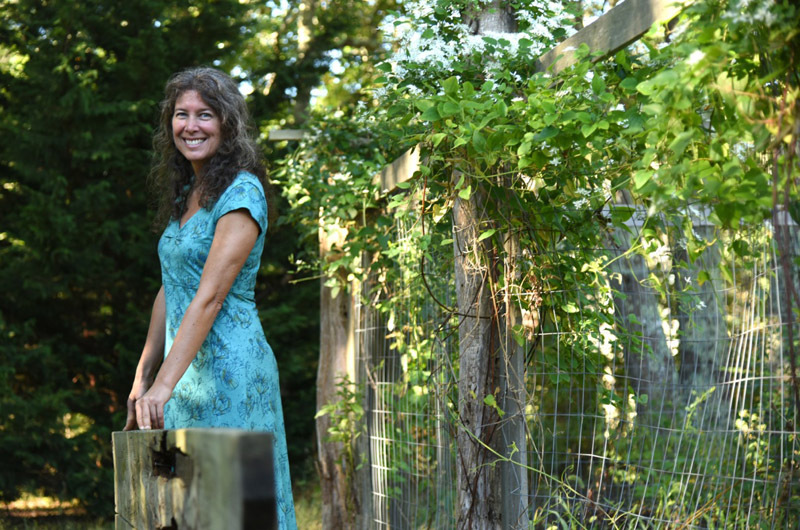 Growing up in the suburbs of Asheville, N.C., Holly Bellebuono felt drawn to the forest. But her parents had other plans for her. She wasn’t allowed to join the 4-H club and even the greenhouse was pretty much off limits. So young Holly studied writing and later worked as an editor at a publishing house. Then she landed a part time landscaping job during graduate school and everything changed. Ms. Bellebuono’s newest book, The Healing Kitchen, is all about the herbs you can eat and what they do for your body. Ms. Bellebuono has been an herbalist for 22 years, lecturing and teaching on the subject for at least 18 years. 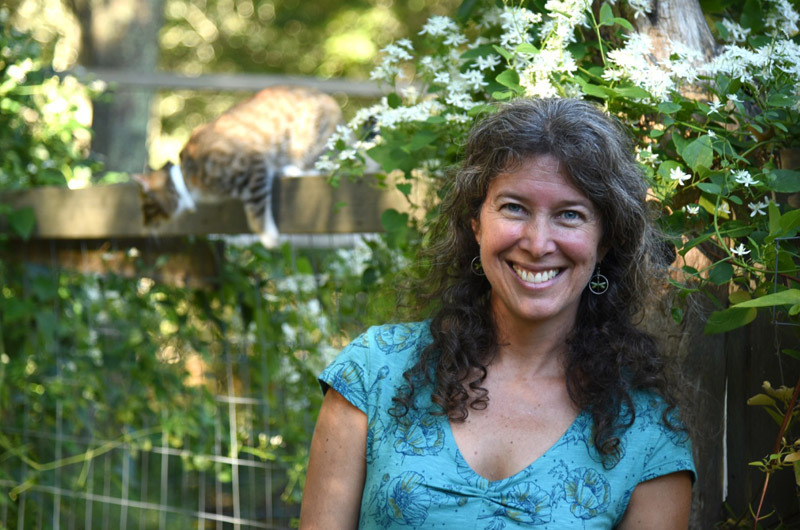 About six years ago, she started an herb school where she hosts two-week intensives every June. What began as an herb book turned into a cookbook. 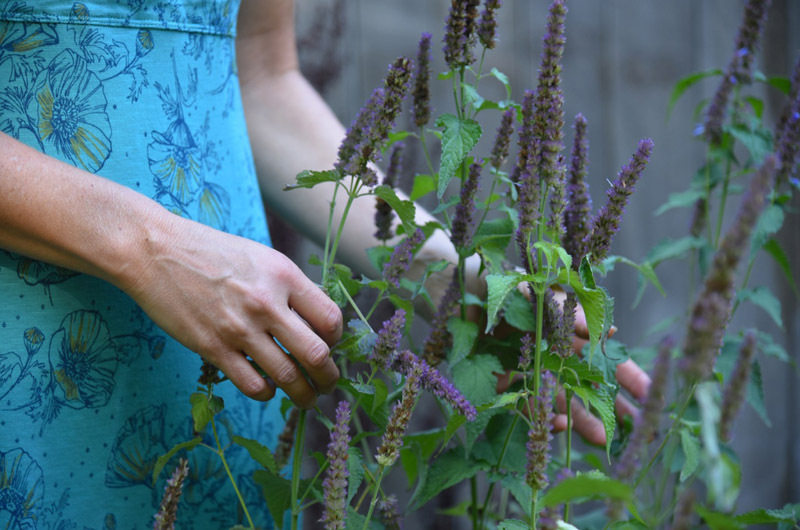 The Healing Kitchen has a recipe for nearly everyone and every meal, from a novice who has never heard of sarsaparilla to a well-versed herbalist who knows nettles are rich in iron. Recipes from 19 contributors are included, each incorporating specific herbs for their health benefits. “It’s really basic and it’s a way to bring food as medicine into your body,” Ms. Bellebuono said. Need a boost of iron? There’s nettle soup. Feeling stressed? Try Ayurvedic Tonic Milk. Starting to get sick? Brew up some spicy ginger broth. Ms. Bellebuono feels that food is one of the easiest paths into medicinal herbs. It’s as easy as drinking a cup of tea. While oil, vinegar, honey or vodka can all pull the chemicals out of the plants, water is the easiest and safest, Ms. Bellebuono said. Another medicinal herb already used in many kitchens is garlic. While asserting she isn’t a chef, Ms. Bellebuono does enjoy cooking the recipes in her book for her family, one favorite being granola. Her two teenage children love bold flavors and grew up eating food infused with Ms. Bellebuono’s herbs, fresh from the garden. Nettles are featured heavily in the book from soups, dips and pesto to ravioli, rice pudding and chai. “It’s easy to take one herb that you have a lot of, or your neighbor has a lot of, and do all sorts of things in the kitchen with it that are really delicious,” she said. While it was easy thinking of new ways to use herbs, getting the precise units of measurement was a challenge, she said. “I’m a throw it in and see what you get type of person.” But she persisted and with the help of a family of taste-testers, nailed down the perfect recipes. 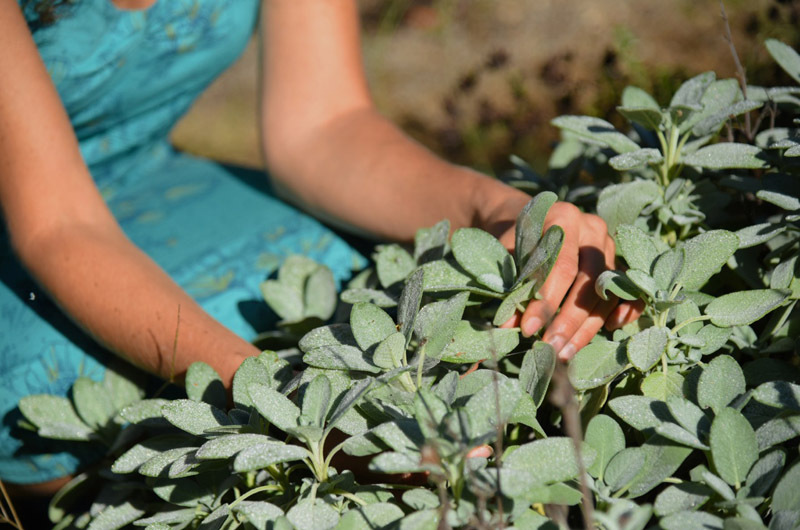 While the best way to use herbs is freshly picked from a garden, not every person has access to their own plot of land for planting. One of the first things the Bellebuonos did when they moved to West Tisbury 10 years ago, was remove the deck and above ground pool at their new house and plant a garden. The vegetables are protected from critters by a fence while the medicinal herbs grow freely. But for those without room to grow, Ms. Bellebuono suggests potted herbs, farmers markets and the grocery store. Even if the bulk of your herbs come from a store, Ms. Bellebuono encourages people to look down and consider the cracks in the sidewalk. “You can walk down the sidewalk in a busy city and collect dandelion and all the nice little weeds that grow at our feet, because those are our medicines,” she said.